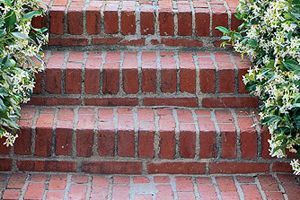 Comment: back steps need repair along with the patio pavers. Comment: I have a small, sloping back yard. I am looking to install a 10x10 patio with pavers. I also have a one car driveway I would like to expand, about 2 feet on either side using the same pavers as the patio. I have just started this project and am in the stage of gathering quotes and ideas. I have no timeline. Comment: I would like to get an estimate for brick mail box. Monroe Township Brick & Stone Masonry Contractors are rated 4.73 out of 5 based on 2,330 reviews of 70 pros. Not Looking for Brick & Stone Contractors in Monroe Township, NJ?